As it often happens with (presumably) smaller investment, the total amount of funding has not been disclosed, but it is good to see that the idea of Sellbox is winning hearts and minds of customers and the investors. 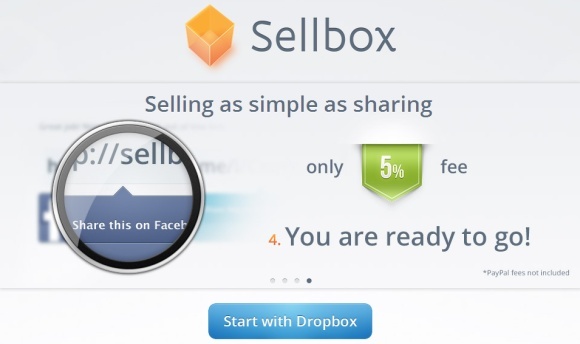 Sellbox offers users to sell their digital content by logging into their Dropbox or Google Drive account, and share the link to the product within their social media. Thus owners of the digital content become their own publishers and marketers, and keep 95 percent of the revenue (5% goes to Sellbox). When I covered Sellbox and other similar services earlier, my concern was that there may be an opportunity to sell the products one has no copyright for. So, we look at the “People are selling” module on Sellbox, and one of the first ones is the Fully Working Replica of Angry Birds Menu and Database system (for just $14,99). This is why perhaps there is no aggregated Sellbox storefront as some copyright infringements might take place. Of course, 5% on $15 transaction is less than a dollar so the founders should have a pretty cheap user acquisition strategy to justify such low revenue per item.